Posted July 7, 2015 by eventreb & filed under Event Design, Event Rebels Blog, Social Media. Just as event planners have legal concerns about attendees live streaming speakers, Discovery Channel could have concerns about piracy. Digital media SVP Conal Byrne however didn’t seem concerned about piracy. “That’s not what the platform is for,” he argued, adding that Discovery would rather take advantage of tools like Meerkat that shy away from them because of such concerns. “We would like to be a part of the conversation as opposed to watching it happen,” he said. One of the core features that Discovery Channel is taking advantage of is Meerkat’s new embed feature. Up to now, the live-streaming app that made all kinds of waves at the SxSW conference in March did not provide a feature that let broadcasters embed streams into their own website or blog. 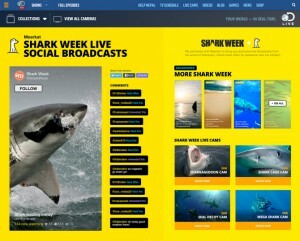 Meerkat unveiled just such functionality in the form of an embeddable player, with Discovery Channel set to debut the feature in conjunction with the cultural feeding frenzy around Discovery’s popular Shark Week. 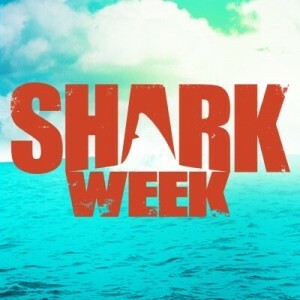 During Meerkat streams embedded on SharkWeek.com, Discovery plans to have “Finbassador” educators, cinematographers, conservationists and other shark experts share parallel complementary stories to what’s being broadcast on the network. For event planners, this means you too can embed a meerkat player on your event or association’s website, giving your members even easier access to this live stream content. The new embedded player is open to anyone on Meerkat. You go to meerkat.app.co/embed and enter your user name to get the code you’ll need to embed your own stream.